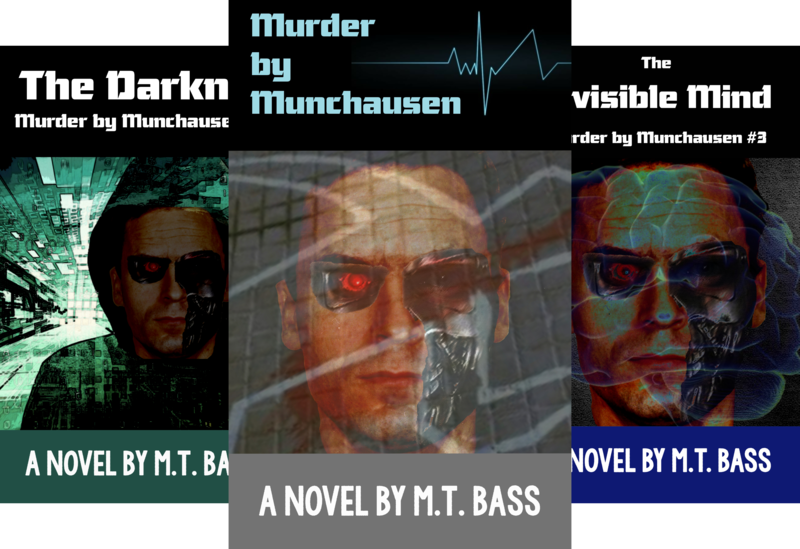 Now unleashed, the “Baron” is resurrecting history’s notorious serial killers, giving them a second life in the bodies of hacked and reprogrammed Personal Assistant Androids, then turning them loose to terrorize the city. While detectives Jake and Maddie of the police department’s Artificial Crimes Unit scramble to stop the carnage with the Baron’s arrest, the cyberpunk head of the Counter IT Section, Q, struggles to de-encrypt his mad scheme to infect world data centers with a virus that represents a collective cyber unconsciousness of evil. Artificial Evil has a name…Munchausen.